More people are choosing to live the digital nomad lifestyle than ever before. Being a freelancer comes with a lot of responsibilities that you may not have originally considered. Trying to strike a work-life balance, finding a tribe of other freelancers who get what you do and can sympathize and navigating difficult clients all come with the territory of being a digital nomad. Hello, business ownership! On the other hand, freelancing also means greater freedom in your work schedule and complete ownership of the types of clients and businesses that you work with. If you’re someone who would love total control over the trajectory of your career, entrepreneurship might be an amazing fit for you. Content writer: think blog posts, website copy and news articles. Copy editor: if reviewing grammar, sentence structures and more are your things, this could be a great fit. Transcription services: websites like Fiverr make it easier than ever to find work as a transcriber. Social media manager: get paid to manage the strategy, post calendars and growth plans for businesses’ social media sites. Graphic design: Whether you’re a Photoshop pro or a master of Canva, all websites and social media profiles require graphics. This could be a great niche to look into for a digital nomad. 2. Who is the Digital Nomad Today? It may surprise you to know that there are more than 55 million independent contractors or moonlighters working in the United States currently, according to the Freelancers Union. In the United Kingdom, there are approximately 2 million freelancers as of 2017, with 1.7 million of them freelancing full-time. Additionally, in Australia, more than 4 million people are freelancing. This equates to roughly a third of the working population there. 57% of digital nomad women are making more than the average income for their age bracket and gender as compared to the Bureau of Labor statistics numbers. Weekend adventures can include scenic hikes, exotic wildlife sanctuaries and a great nightlife scene. Explore the Danube River, visit the historic Parliament buildings, and soak in the culture at Gellert Hill. Because there are so many different segments of the digital nomad world that you can explore, pay rates will vary significantly across industries. Also, keep in mind that your level of expertise and past work experience will impact your pay rate per job, too. According to Pay Scale, freelance writers earn an average wage of $24.70 per hour. In general, technical writing gigs often pay more than other types of content writing projects. Some clients will prefer to pay content writers per word rather than per monthly retainer or by the project. In this case, consider how long the piece of content will take you to complete then divide the number of words required by the piece. For example, a fixed rate of $.20 per word would be approximately $200 per a 1,000-word blog. You can also follow this general guideline from Freelance Writing and helpful article from Forbes. Be sure to do thorough research when it comes to your pay for freelance projects. It’s important you’re charging clients enough for your time and expertise. Freelancing throughout college is a fantastic idea for many reasons. First, you typically have a lot of freedom and flexibility throughout your class schedule. When you’re not hanging out with friends, on vacation or catching up on homework, why not make some additional money and gain some valuable work experience as a freelancer? Consider replacing your college internship with a freelance gig instead and make some extra income. Freelancing while in college is a great way to figure out if entrepreneurship is something you want to explore more once you graduate. It’s also a good way to grill your professors and other industry professionals about their industry, the freelance field and more while you’re still a student and people may be more apt to help you out. The online world seems to change and evolve every day. It may seem really intimidating to pitch your freelance services to a new client with so much competition, but the great news is that there are plenty of ways to do it successfully. The key: send a better pitch when you’re trying to land a new gig. Consider ditching the boring old cover letter and instead send an email with a few, effective bullet points to your prospective client instead. Outline a few reasons why you would be a great fit for their specific company and why the job listing caught your eye. Clearly outline your freelance rates to they know right off the bat what you’re looking for. Better yet, include links to your online profile so they can easily learn more about you and your experience. Offer them something for free, if applicable. That may be a quick audit of their social media profile, or a short blog sample based on similar topics found on their website. The goal is to make a big impact and showcase the quality of your work. Working as a digital nomad doesn’t have to be as difficult as it used to be. Whether you’re worried about navigating client meetings while traveling, communicating with your teammates and clients more effectively or simply managing your time better- there’s an app for that. Thanks to project management systems created for freelancers, time trackers like Toggl and free messaging apps like Voxer, your work as a digital nomad can be as seamless as you want it to be. Pat Flynn– an entrepreneur, blogger, podcaster and affiliate marketing extraordinaire. Chris Brogan– a veteran of the online marketing world having authored books, blog and more. Matt Kepnes– otherwise known as Nomadic Matt, he is the king of traveling cheaply. Rolf Patts– the man behind the inspiring book Vagabonding. Unsettle by Sarah Peterson– life and business coaching for the aspiring entrepreneur and digital nomad. Navigating taxes, in general, isn’t exactly a fun task. As a digital nomad, it becomes slightly more complicated than working for an employer who handles most of your taxes for you. Don’t worry though, with the help of some incredible online resources and apps, you simply don’t have to dread tax season as a freelancer any longer. What types of taxes do I need to file as a freelancer? What tax-related documents will I need to deal with? Should I file business-related deductions? If so, which kinds? 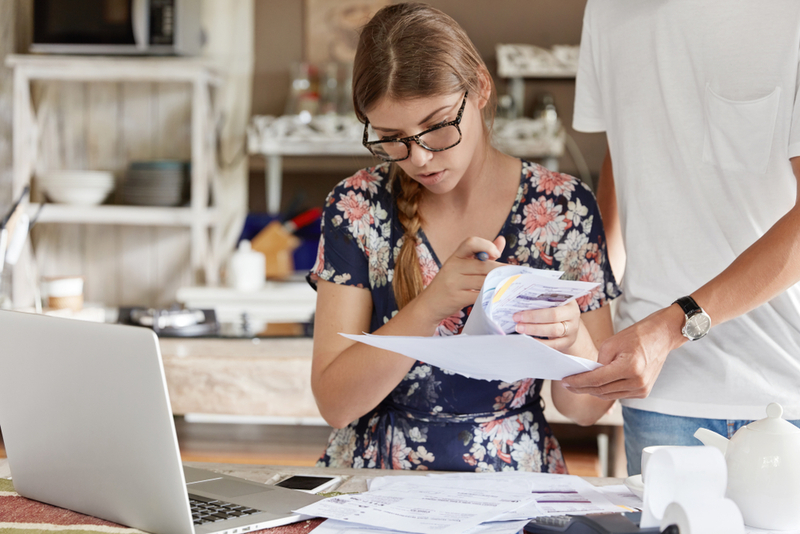 Begin acing your taxes today with our Expert Tips for Navigating Tax Season if you Work in the Gig Economy. You can avoid the office politics, escape your coworkers and actually work with other freelancers that you want to. Major flexibility in your work schedule- from when and where you work. Enough said! You call the shots and make the decisions. You’re able to work as many (or as few) hours as you choose (and that your bills dictate!). You can take advantage of as many learning opportunities as you choose- no more begging your boss to attend the one yearly conference they allow. The world of seminars, conferences, networking events and more is all up to you! Most importantly, you get to do the work you love to do. Consider joining the freedom economy this year as a digital nomad for more flexibility in your work and life. Isn’t it time to start working more in the fields that you’re passionate about, and less on the things you’d rather not be doing every day? Ditch the 9-5 and start creating a better career for yourself today with the help of Spera.